Buying in a foreign currency can be a major turn-off for international buyers; often, credit card networks and payment gateways charge a conversion fee to the buyer. In addition, conversion rates can fluctuate quickly, changing even by the hour. This can confuse customers when they convert a price into their local currency, and are later charged more than expected. Luckily, using Bold's Multi-Currency app, you can offer a local presence in over 150 currencies by automatically displaying prices in a customer's local currency. 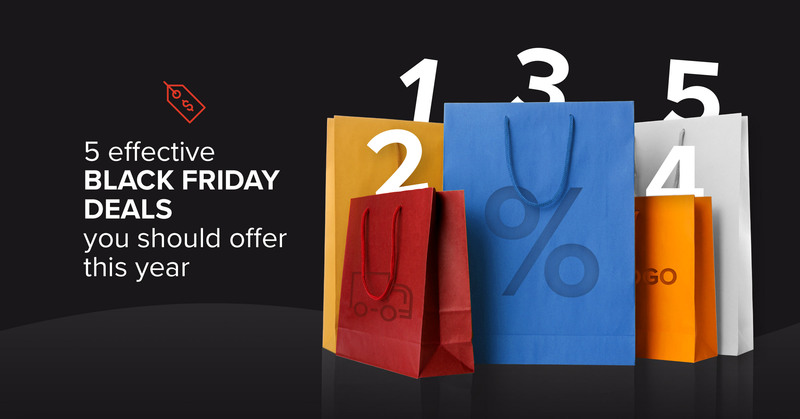 This puts customers at ease and boosts conversions since they won't have to manually calculate what their price will be. When a customer visits your store, Multi-Currency automatically determines their location using their IP address. A "currency picker" also loads on the page so that the customer can choose a different currency if they would like (perhaps they have a credit card in a different country, or if they couldn't be located correctly). The customer will see prices displayed using the currency they have selected. These can either be generated using up-to-the-hour conversion rates, or at a rate that you choose. 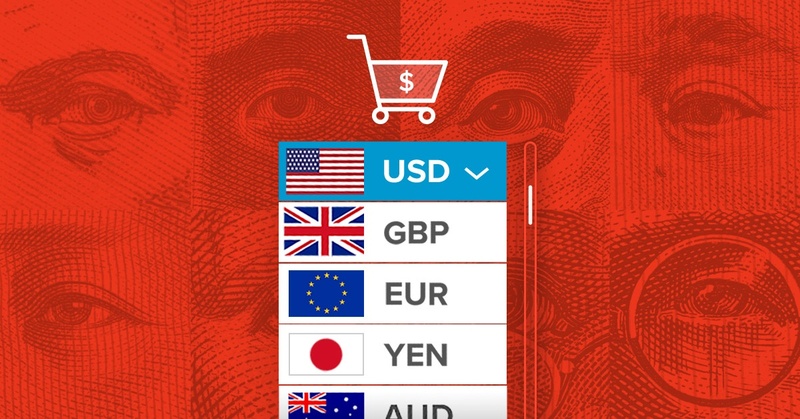 The prices will appear in the chosen currency everywhere on the storefront so customers don't have to leave the website to convert the currencies at any point. The customer will still, however, check out in your store's default currency, so the actual price charged to their credit card might be slightly different than what they see on the storefront. If your store is selling with Cashier, you can allow customers to check-out in the currency of their choice. This has the added benefit of avoiding expensive credit card conversion fees, which can come as a surprise to international buyers and turn them off from future orders. 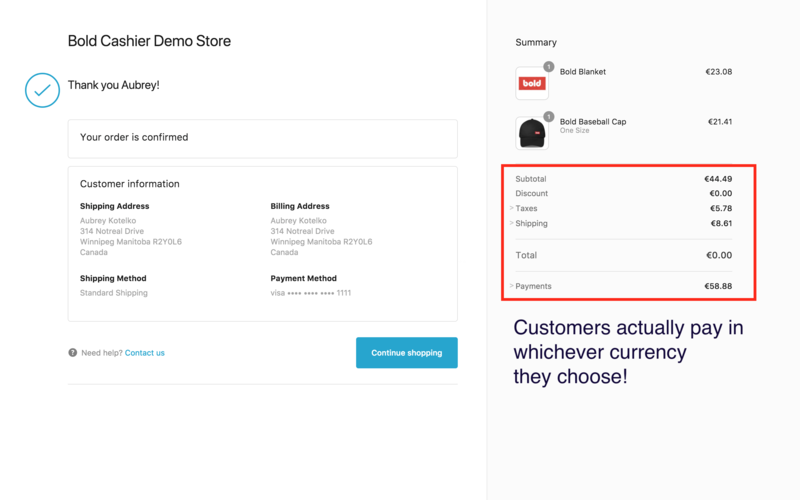 The ability to check-out in the customer's native currency is a feature that's entirely new to Shopify, and we're excited to be able to offer it using Cashier! 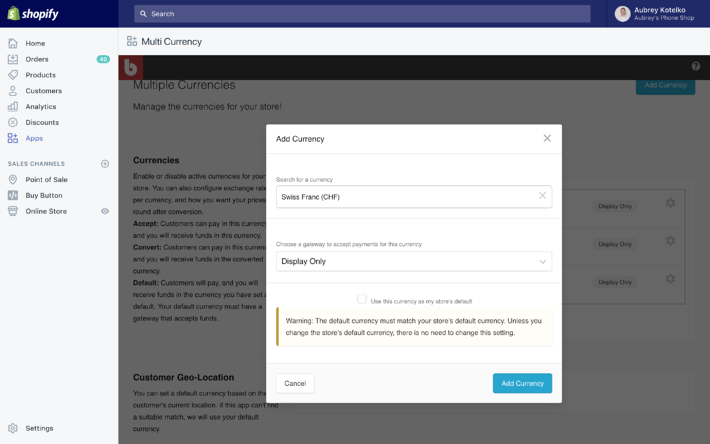 Next, we'll cover how to get started selling with multiple currencies on Shopify. The first step is to set-up your default and accepted currencies from within the app, selecting which currencies your store will accept. In general, we recommend using Shopify's reports feature (or another tool, such as Google Analytics) to look for the countries that visit your store the most and include them in the list. Adding too many options can sometimes make it difficult to find the right selection when customers pick a currency (if they aren't able to geolocate for some reason). You can add a currency using the button on the home screen. Just search for your currency and select it to add it to the list of available options. If you're using Cashier, you'll be able to choose the gateway that will process payments for the currency. Many gateways can either accept and deposit payments in the customer's currency, or automatically convert the currency they're given to your home currency after the customer has paid. If the gateway is set to "Display Only," customers won't be able to pay in that denomination, but the app will still convert and display prices on the storefront. Exchange rates can either be set automatically or manually using the options on the Settings page. If you're using automatic rates, you can even set up rate padding (so that a little extra is built in for bank charges/fees on your end). You can even set up rounding rules, so that prices look more natural to international customers. For example, if the actual conversion winds up appearing as $12.42, you can set the app to round up or down to the nearest dollar. 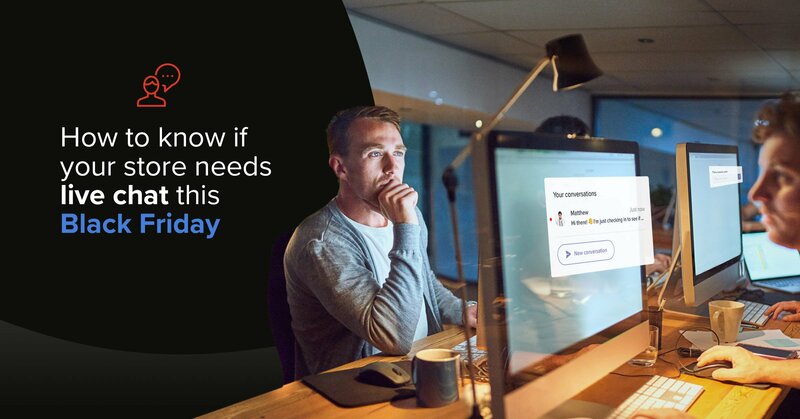 Selling to international customers is one of the biggest opportunities available to online stores, but it's not without its own set of challenges. But Bold's Multi-Currency app can help bridge some of those borders and increase your customer base by putting foreign shoppers at ease. Even better, the app is completely free; you can set it and forget it. Does your store sell internationally? Let us know what you've learned along the way in the comments section below! Aubrey is a content marketer at Bold Commerce. He drinks a gallon of milk every single day.